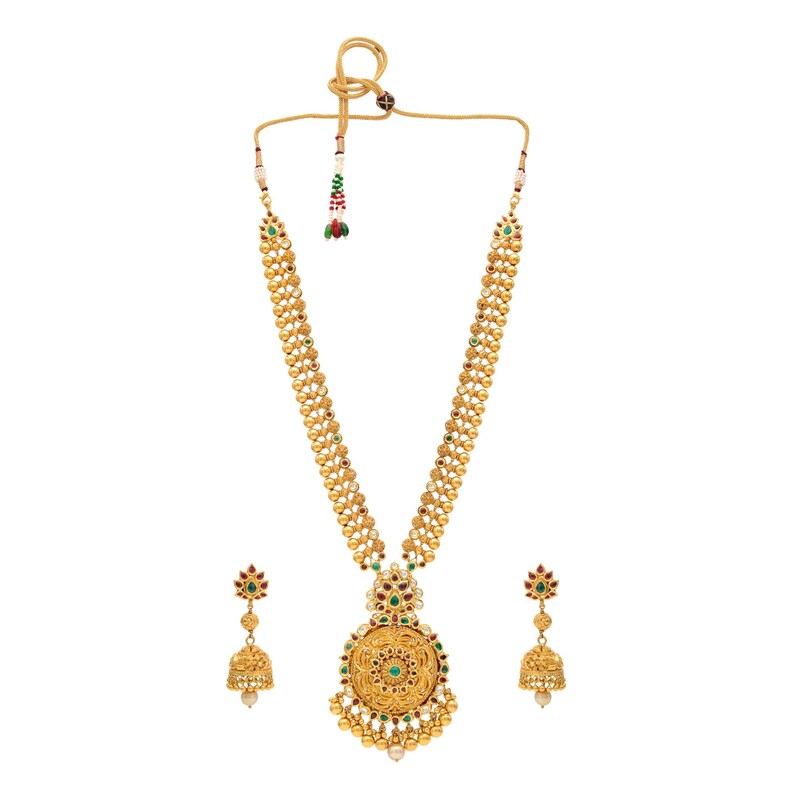 This necklace set has a wide necklace with gold beads at the border, along with a pair of medium sized jhumkas. 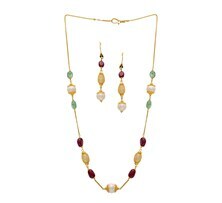 With the occasional red and green, this set satisfies all requirements for a wedding collection. 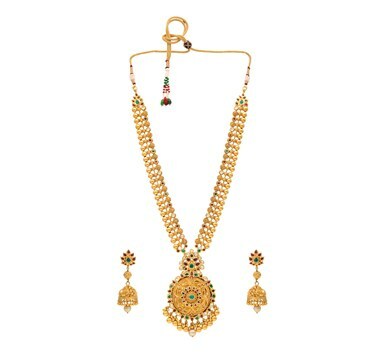 This necklace set has a wide necklace with gold beads at the border, along with a pair of medium-sized jhumkas. 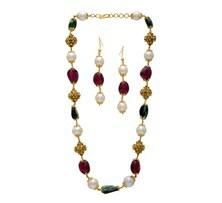 With the occasional red and green, this set satisfies all requirements for a wedding collection.